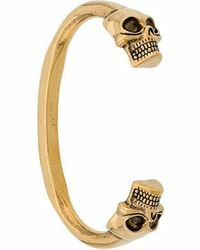 A rebellious British brand with a history of shocking the fashion world with its controversial catwalk shows, Alexander McQueen is internationally popular for its sharply tailored, darkly romantic aesthetic. 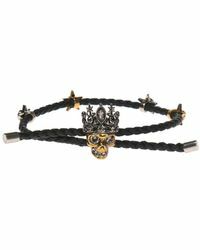 Currently headed up by creative director Sarah Burton, this luxury label has dressed royalty, celebrities and the fashion elite since its launch in 1992. 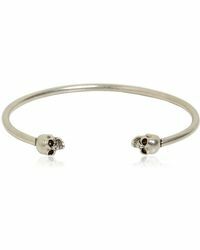 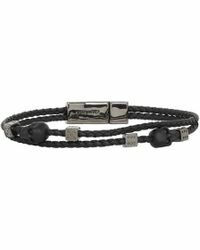 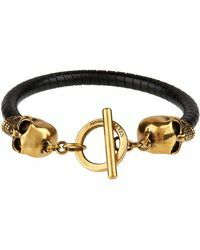 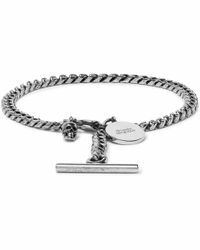 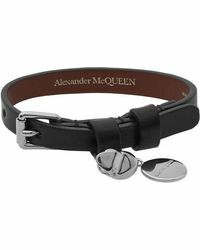 Edgy and tough, Alexander McQueen bracelets range from textured leather cuffs to the brand's signature skull bangles.